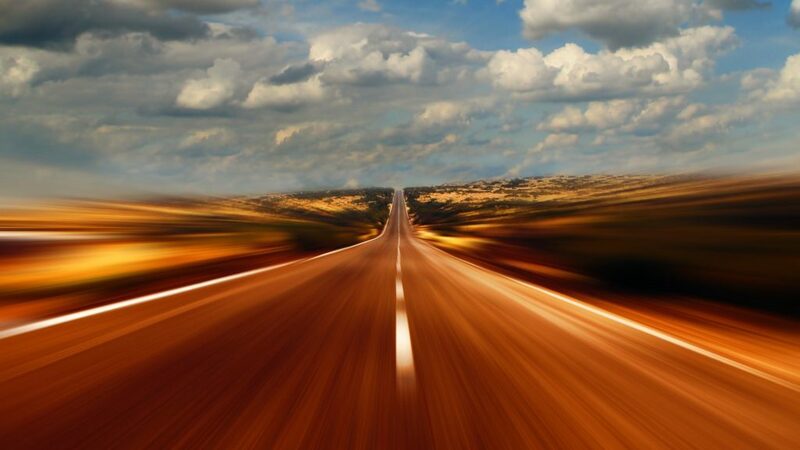 Here’s an easy way to improve your life: slow down. We tend to move too quickly – whether it’s performing physical tasks, rushing to finish a meal, or moving from one appointment or errand to the next. Even if we don’t feel like we’re physically rushing, we probably are – if not physically then mentally. This is like mindfulness, but it’s more simple. It’s really about going slower, and seeing the benefits of slower action and thought. Of course there’s certainly nothing wrong with being productive, thinking ahead, and moving efficiently through tasks. In fact, a major reason for slowing down is that it increases efficiency. 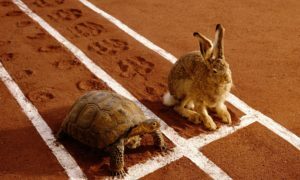 ‘Slow down to go faster’ is a very real axiom, but it takes some looking at our time, and our to-do list, a bit differently. Going slower is about getting our heads out of the short-term and thinking longer-term. And in this context, longer-term could be a few moments later, or a few years later. For example, taking a few moments to organize your tools and think ahead before starting a gardening project could make a big difference. Taking the time to grab your gloves and the hose instead of just getting in there with your hands could mean a lot easier cleanup 45 minutes later. 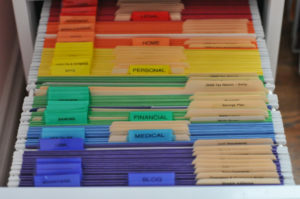 Likewise, organizing your financial documents properly could save countless hours over the course of a lifetime of filing taxes, paying off loans, and making money decisions. Going slower saves time in so many ways. In today’s world of email, taking the time to unsubscribe from a spam list can save clicking through junk emails every time you pick up your device. Doing proper maintenance on your vehicles, appliances, home, and yourself, can save hours of troubleshooting and problem-solving down the road. In fact, there’s virtually nothing in our lives that isn’t made more efficient – in the longer-term – by taking our time and doing it properly or more thoroughly up front. We know this to be true, yet we resist, rushing through tasks and hoping it all works out later. This is a risk vs. reward decision that our brains make, but it’s flawed. It’s flawed because it discounts ‘later’ and overemphasizes ‘now’. You see, when left on autopilot, the brain is a short-term pleasure/comfort seeking machine. It will always default that way, because that’s its hardwired structure – its job above all else is to keep you alive right now, and pleasurable things (avoiding pain, eating calorie dense foods, conserving energy by resting, etc) are proven ways to keep us alive…in the short-term. However, in today’s world – one with fast-moving cars, faster moving data, highly engineered foods, a range of self-inflicted cancers and diseases, and a deluge of information and choices, a more elegant solution is required. That more elegant solution – simply slowing down and thinking things through. It’s about turning off autopilot. For this kind of change to be effective it has to become a habit, a skill. And like any skill, it takes practice to learn and master. But, there are easy ways to start and a few tricks that can make it a whole lot easier. One way to do that is to begin at the end. Usually when we approach a task, a project, or even a meal, we get ready and gather what we think we might need and then we go at it. So we do think it through to some degree, but only enough to successfully complete the task. Instead, try thinking about the task or event from the end result first. What’s the point of doing it? What’s the goal? What’s the ideal end result? Will this end when I’m done, or is it something that I’ll be doing forever, over and over? You might find that when you start at the end, and you start with questions like these, the actions you take from the start are completely different. Let’s take an example of filing taxes – or insert any annual repeating task in here, christmas decorating, doing a spring cleaning, and so on. What is the point of filing taxes? Is it just to file them, or do you also want to make sure you pay as little as possible? If you’re looking not to overpay taxes, are you doing everything you can to reduce your tax burden for next year? Do you really know the ultra-complicated tax code well enough to make all the right decisions throughout the year to avoid overpayment? Can you outsource this to an expert for short money? If you are choosing to do it yourself, why? Is time less important to you than money? If you don’t have the money, is it possible that someone could save you enough money in taxes (or in offering other financial advice) that could actually cover their own fee and then some? (The answer’s yes, by a lot). If you do decide to do it on your own, are you organizing taxes and planning to sit down and do this for 2,3, 10 years down the road? Do you have the right tools for that? The right system? You’ve done taxes for decades…why are they not easier now than they were 20 years ago (hint: it’s not the tax code, it’s your paperwork/habits). So you get the idea. Before we even begin there are a huge range of questions that really should be answered that may end up pointing you in another direction completely. You may decide to hire someone to do your taxes, or get some financial advice that can save you thousands you never knew you could save. And if you do decide to do it yourself, what kinds of things should you really be doing to set yourself up properly for next time? Could you trade a few minutes of time now or over the coming year organizing as you go, to save hours of time next April? And the same goes for any repeating task, large or small. There are almost always ways to trade small bits of time – in organizing, thinking things through, doing a little extra step or writing something down, that will save you hours later. Before you start your next task, disengage autopilot. Take back the controls, and start at the end by asking some simple questions that help define the end result. You’ll be amazed at how this transforms everyday tasks and gives you easy wins that you never knew existed because you raced right by them in your hurry to…waste time.